The last time Godspeed You! Black Emperor played Tyneside, it led to the first ever full evacuation of the Sage Gateshead, mid-set, with the audience initially believing the recorded messages to evacuate the building being yet another comment on control systems and authority in late industrial capitalism; the confusion on the band’s faces told otherwise. Despite that – or perhaps because of it – the band turned into a truly breathtaking performance that will up the ante considerably for their return visit as they play the Boiler Shop on Wednesday 25th October (it has to be said, the Boiler Shop is absolutely killing it right now). This new burst of GY!BE activity accompanies the release of their latest album Luciferian Towers, a record developed both from working with the Holy Body Tattoo dance company and also commissions to commemorate the 100th anniversary of the battle of Messines. 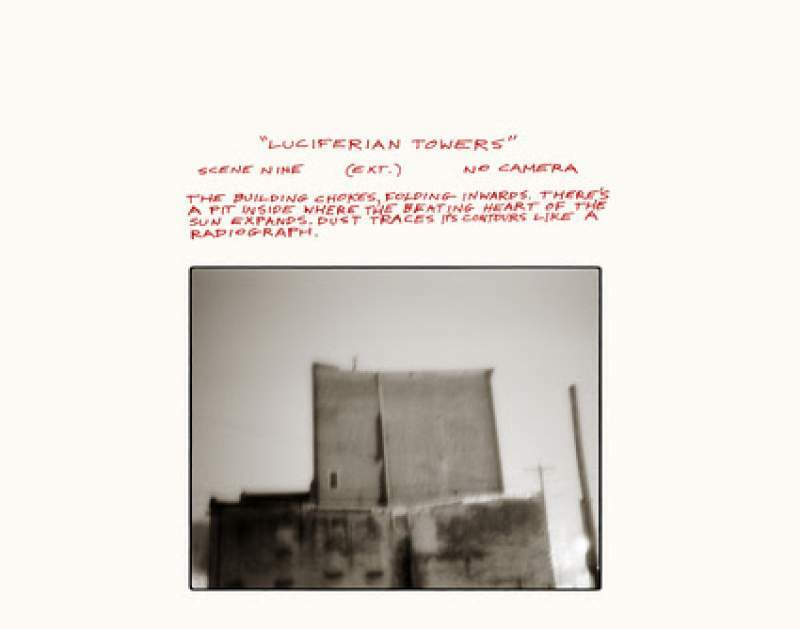 Typically for a GY!BE album, Luciferian Towers comes freighted with important ideas, beautifully articulated rage and a list of demands, such as ‘the expert fuckers who broke this world never get to speak again’. A Godspeed gig is rarely anything other than an intense and essential experience and the wholly appropriate setting of the Boiler Shop promises to provide another of these.